We love a good pair of headphones here at T3 Towers, especially when they're as striking to look at as the new AH-D7200 from Denon. 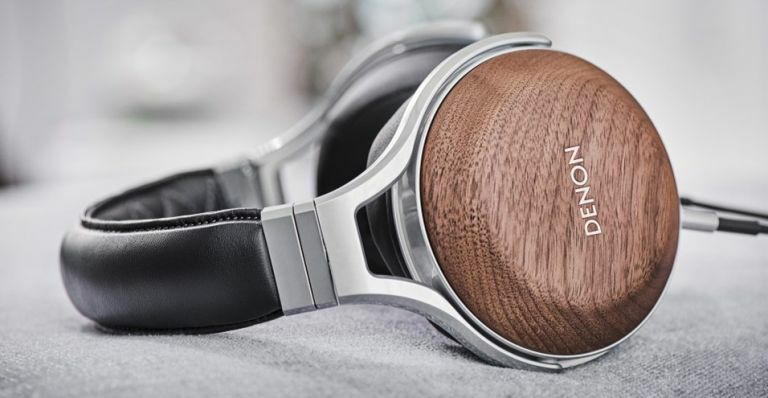 Yes, those earcups are made from a lovely treated dark wood, and the rest of the headset is just as plush. The ear cushions are made from a comfy artificial Japanese leather, while the headband is finished in real sheepskin leather. The AH-D700 aren't just about looking good either - Denon promises serious high-resolution audio quality thanks to its 50mm FreeEdge driver diaphragm. The setup inside each cup is pretty impressive, with pistonic motion that avoids creating distortion while reducing outside noise. Add to that an ultra-high-quality 7N oxygen-free copper cable - made in Japan to Denon’s specification for the best possible signal transmission - and you've got a set of cans that perform as good as they look. The Denon AH-D7200 over-ear headphones will be available from January next year from £699.